Children with autism who live with pets may be more likely to develop assertiveness and other social skills, according to new research from the University of Missouri. That’s right: the unbridled, goofy joy a pet gets from playing with his human isn’t just fun but therapeutic! Well that’s a pleasant surprise — kinda like finding out there are health benefits to chocolate. 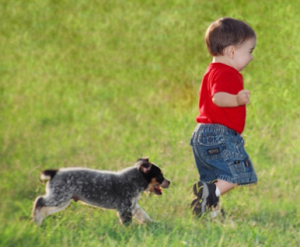 While dogs (in particular, small dogs) were the stars of the research, any type of pet was better than no pet at all — and in some cases more suitable for specific children due to sensitivities or energy level. So, not that you needed another affirmation on the human animal bond, but it is always good to see another story reminding us of what a truly precious and amazing thing it is! Very cool indeed. Children with Autism Who Live With Pets Are More Assertive from MU News Bureau on Vimeo.